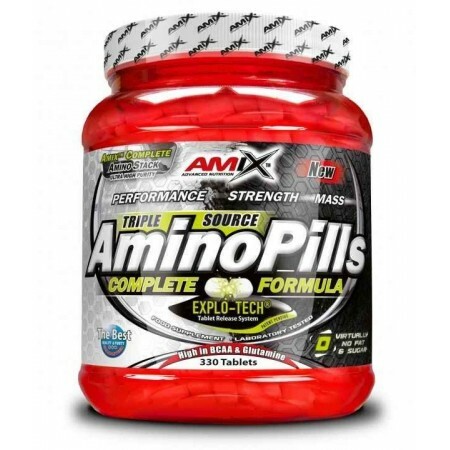 Amix Amino Pills is a perfect base compound for periods of intense activity where diets low in fat or sugar is made pure amino acids. Amino acids that WILL included in Amix Amino Pills are a key element for all athletes, so their consumption is vital to achieving high levels of muscle mass. Amino acids act on neurotransmitters thereby increasing the capacity of physical and mental endurance. 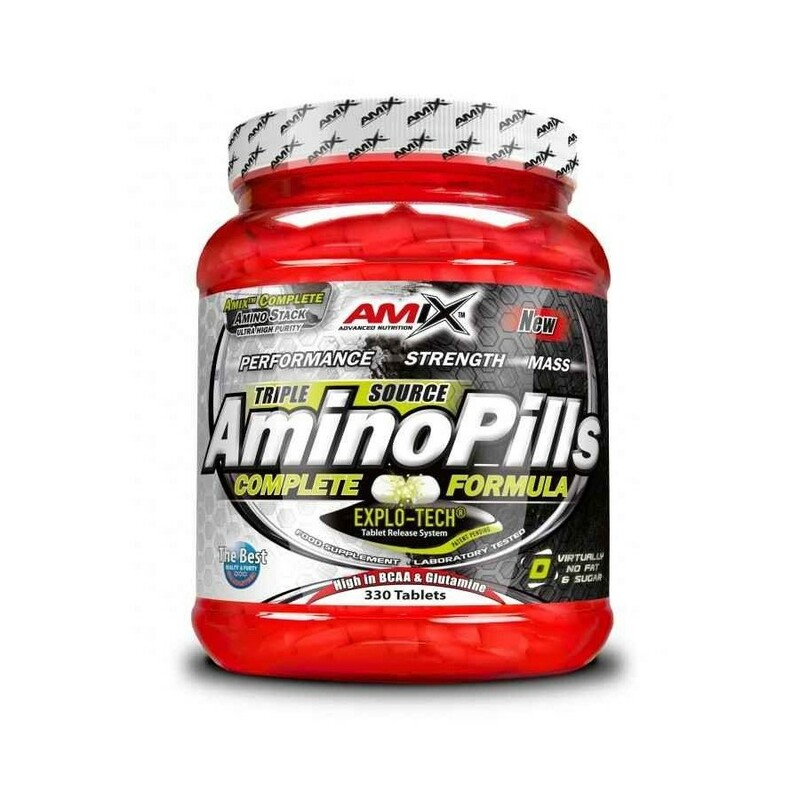 Amino Pills Amix has a triple source of amino acids coming from whey hydrolyzate, meat protein and soy isolate, which has the capacity to provide the body with a balance of amino acids with the best quality. Amino Pills Amix also promotes the production of growth hormone, which optimizes muscle growth. Increases strength, power your abilities. Participate effectively in the recovery process. It includes 8 essential amino acids (isoleucine, leucine, lysine, methionine, phenylalanine, threonine, tryptophan, valine). Great for any dietary supplement. With the guarantee of Amix. Take 5 tablets two or three times a day between meals with water. For efficient use another take additionally.